The road leading to the parking lot of the Big Valley Ranch trail located in the Methow Valley is named Dripping Springs Road. Cindy and I never made the connection until the dogs lead us on a side trail down to the Methow River. 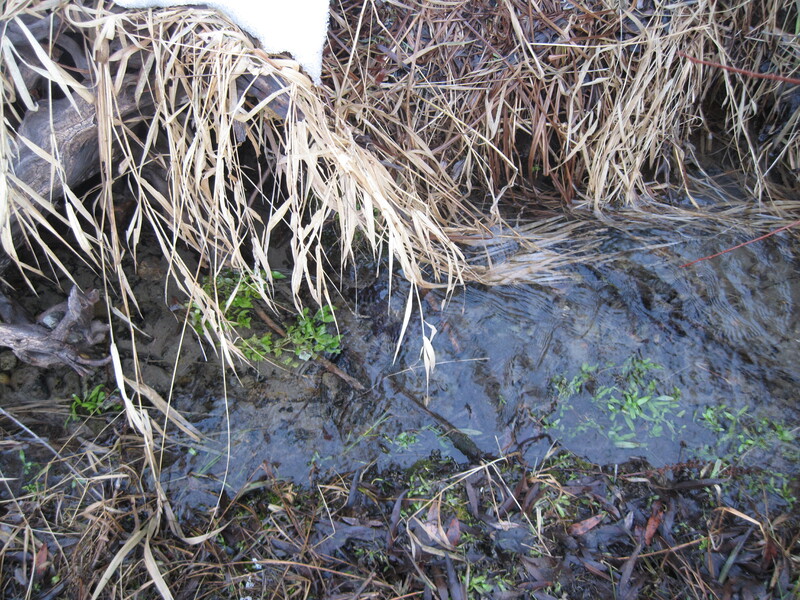 At the base of a log pile we noticed watercress growing in a spring flowing into the river. 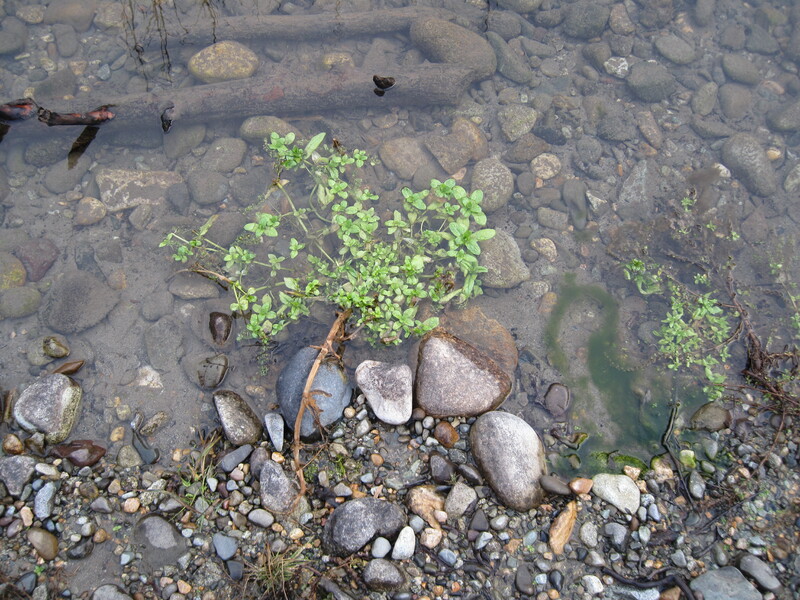 The spring water was much warmer than the river and created an oasis for water plants. 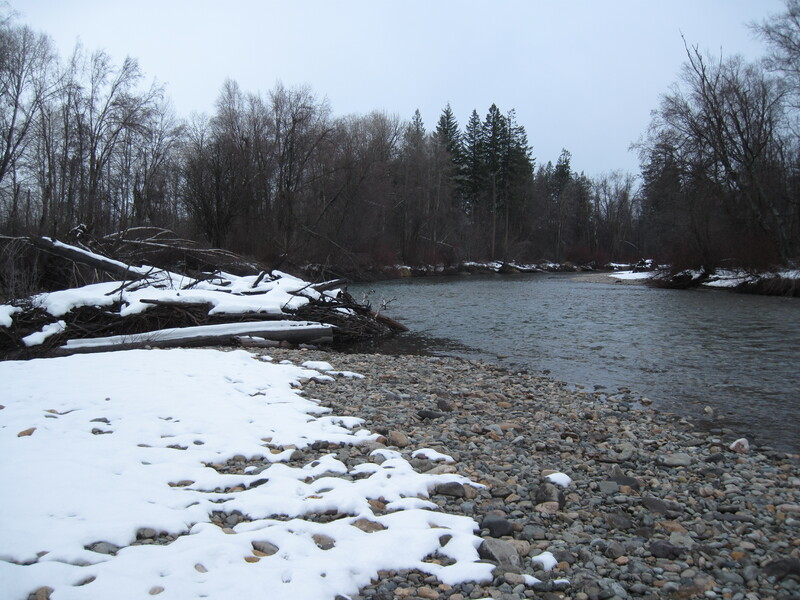 Even when the river ices over, there will be drinking water for animals. We traced the spring back to its source, flowing right out of the ground at the base a bank. A wonderful discovery on a wintery December day.